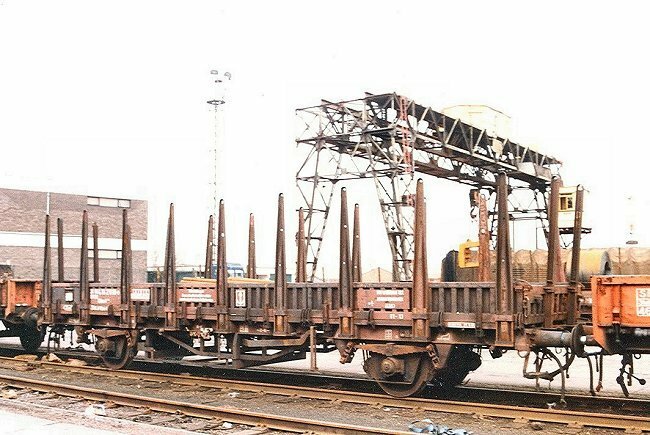 This DB stake wagon number 21 80 414 2 019-9 at Wolverhampton Steel Terminal on 29th March 1989. 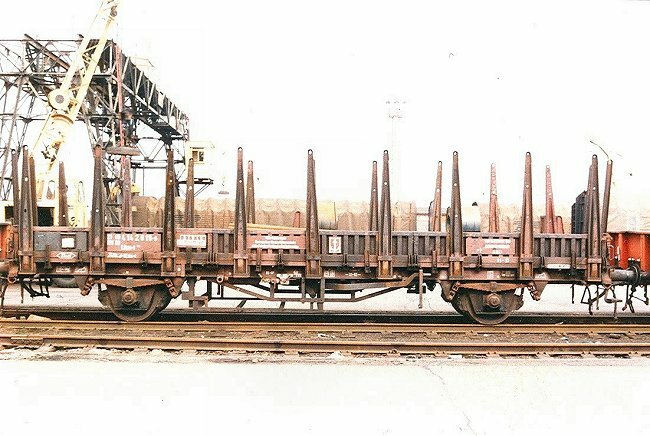 Another view of DB stake wagon number 21 80 414 2 019-9 at Wolverhampton Steel Terminal on 29th March 1989. A British diagram of these wagons. 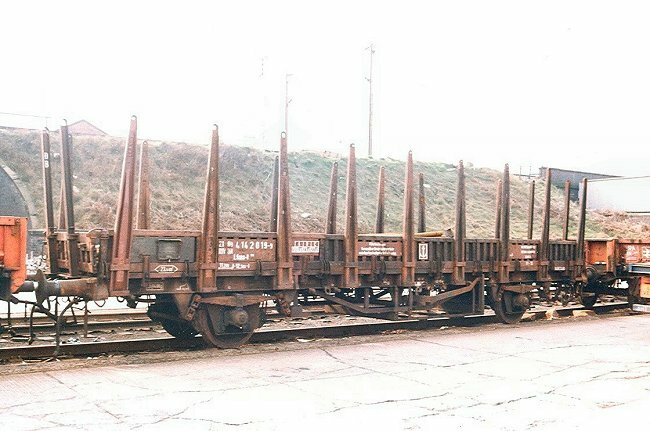 These wagons at one time carried DB numbers 435035 up to 435054. Later they carried RIV numbers 21 80 414 0 000 onwards. A minor renumbering then gave them numbers 21 80 414 2 000 onwards. 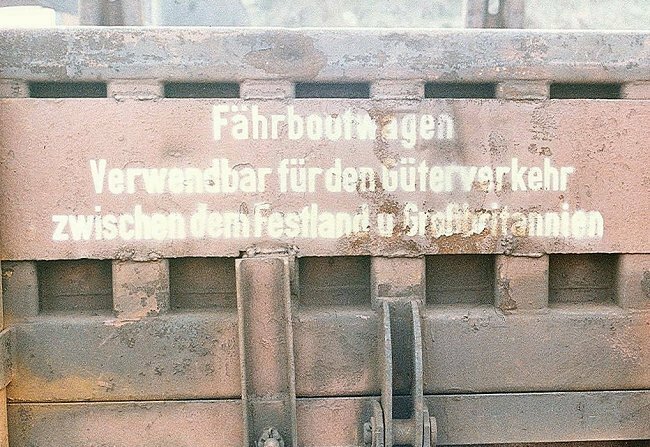 German lettering on the side of the wagon. 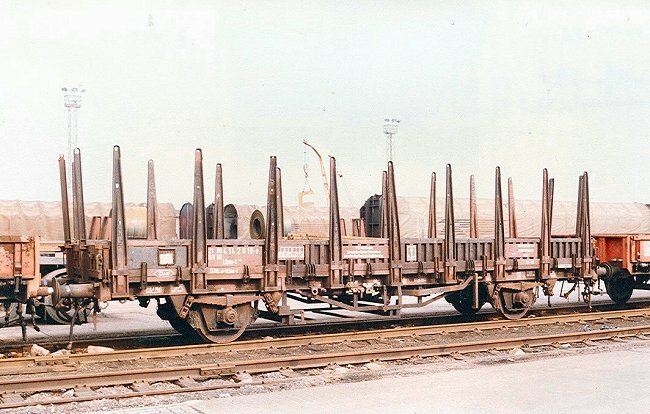 DB stake wagon number 21 80 414 2 019-9 was one of a few such vehicles on hire to BR due to a shortage of steel carrying wagons when this photograph was taken. Wolverhampton Steel Terminal 29th March 1989. A final view of the wagon.